2018 provided many opportunities to see God move in the lives of the people we serve. 2018 provided many opportunities to see God move in the lives of the people we serve. We’re grateful for each person He brought to us and the ways He provided for them. 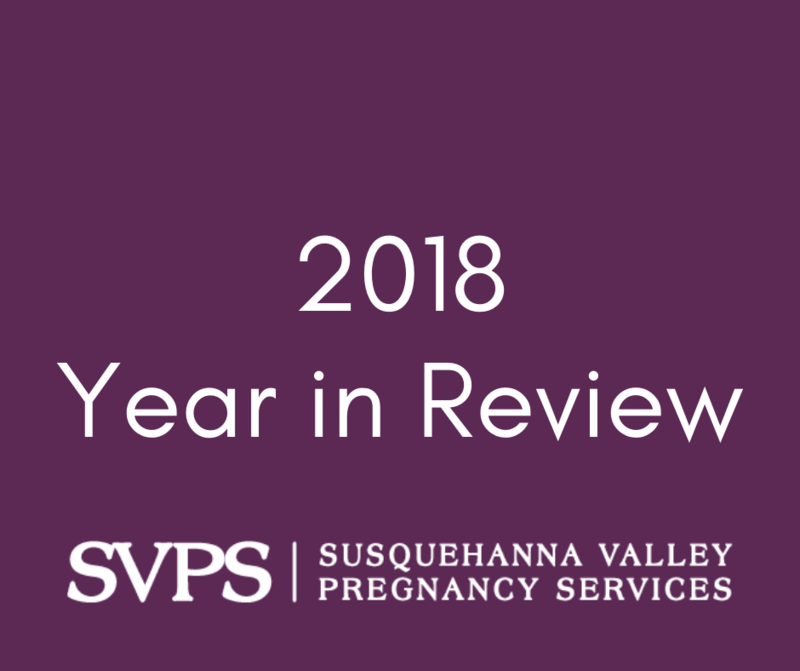 We saw 851 clients in 2018, which includes women and men, teens, and moms and dads. There were 5,629 appointments across our Columbia, Ephrata, Lancaster, Lebanon, and Millersville locations. Through these appointments, women facing an unintended pregnancy learned about abortion risks, adoption, and parenting. They also found out there’s tangible help available from SVPS and throughout their community. For the women who came to us thinking they had to have an abortion, 12 of them found help and hope and chose LIFE for their child! Moms and dads who desired additional support in their parenting journey were encouraged through our prenatal and parenting education. 1,416 sessions included prenatal education, and 1,274 sessions were parenting classes. Through this support, moms and dads gained confidence in their parenting skills and were glad to earn essential baby items for their children. We also served individuals who had made the difficult choice of abortion in the past. 48 sessions offered post-abortion support and women received forgiveness and healing through Jesus. Throughout all of our services, we shared about the One who gives life – Jesus – and the immense love God has for each person. We’re thrilled that many dads, moms, and even a six year old child placed their trust in Jesus in 2018! We remain so thankful for the impact God made through SVPS in 2018. As we enter into 2019, we pray He will continue to draw people to choose life and choose a relationship with Him through Jesus.